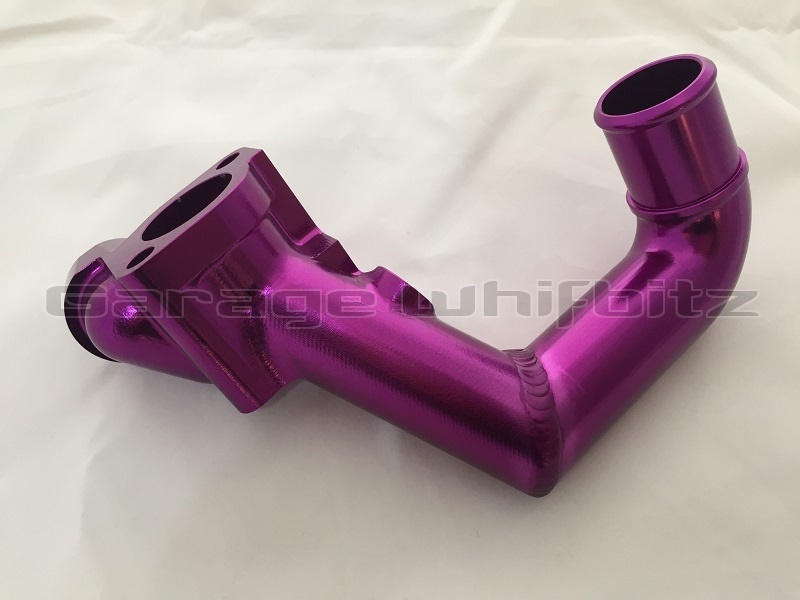 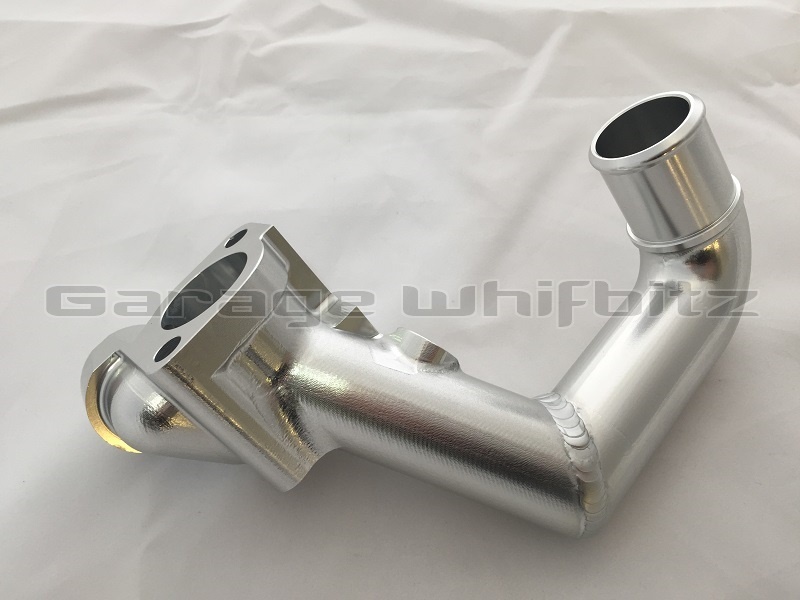 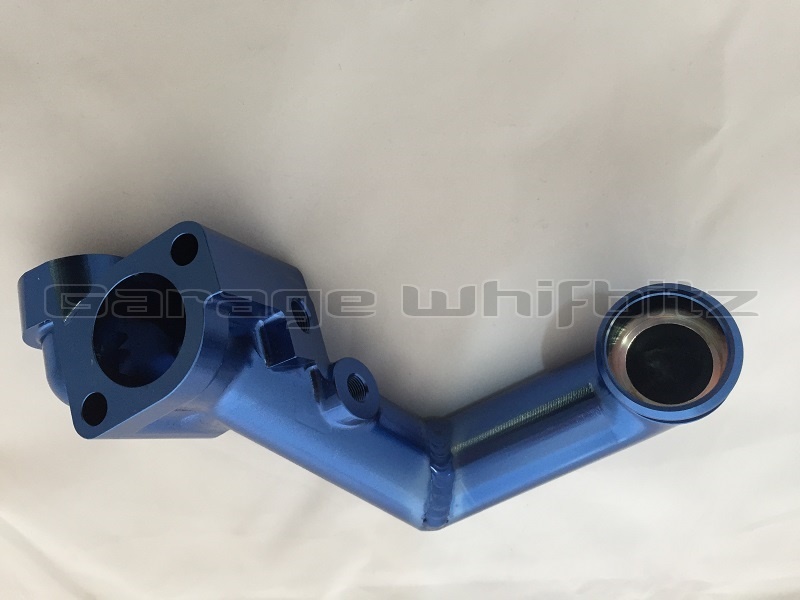 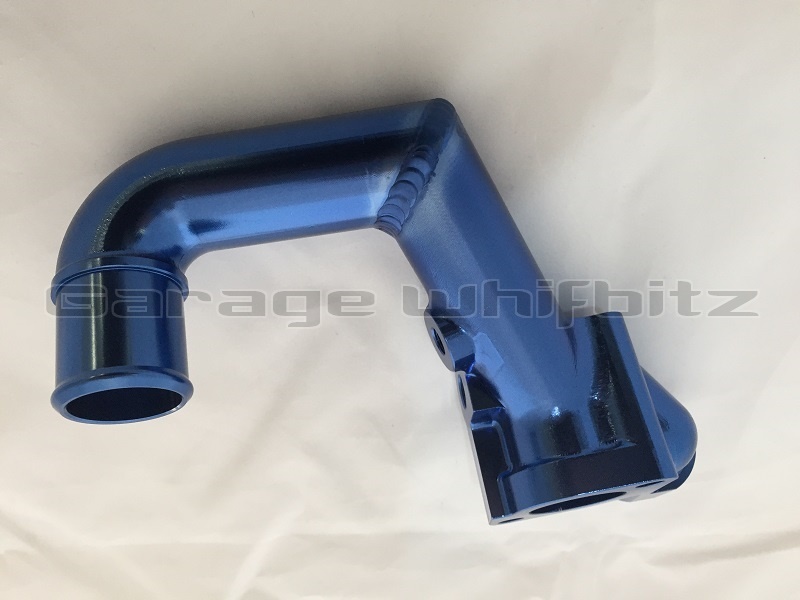 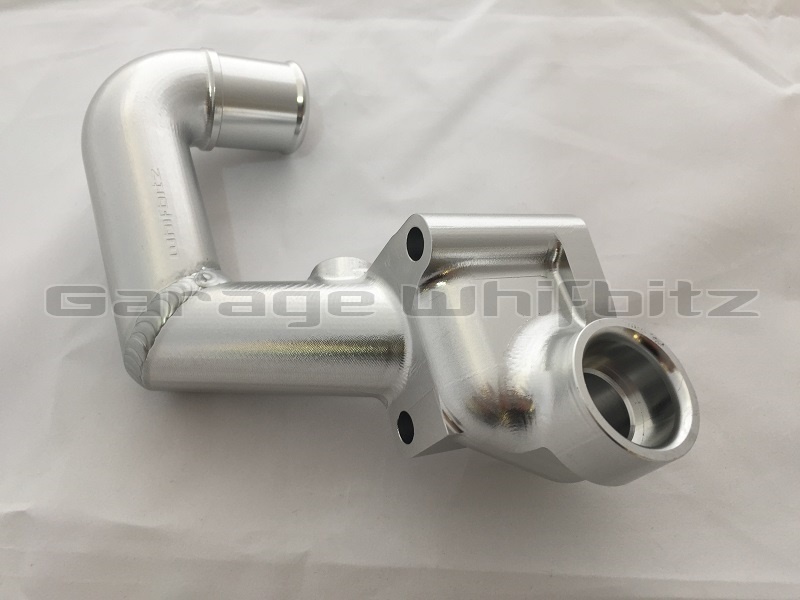 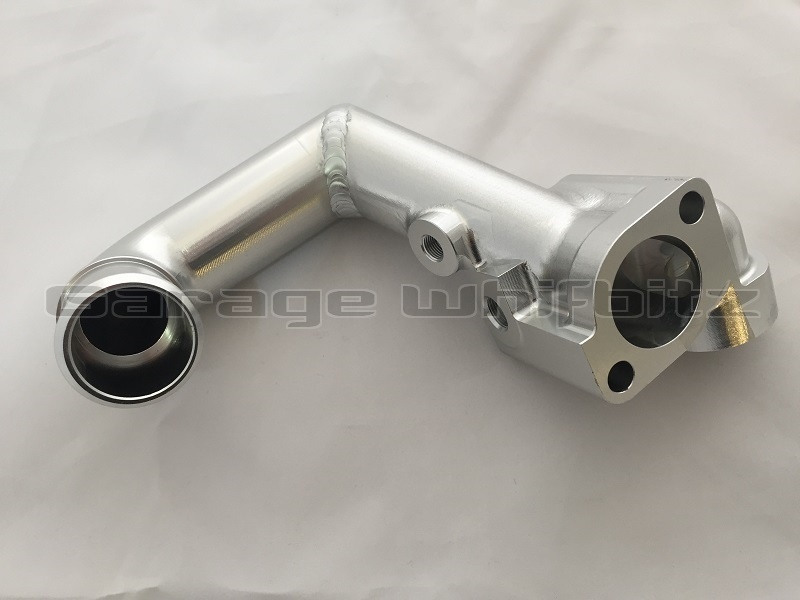 Garage Whifbitz billet water elbow for the Toyota Supra 2JZ-GTE engine, fits pre-VVTi and VVTi. 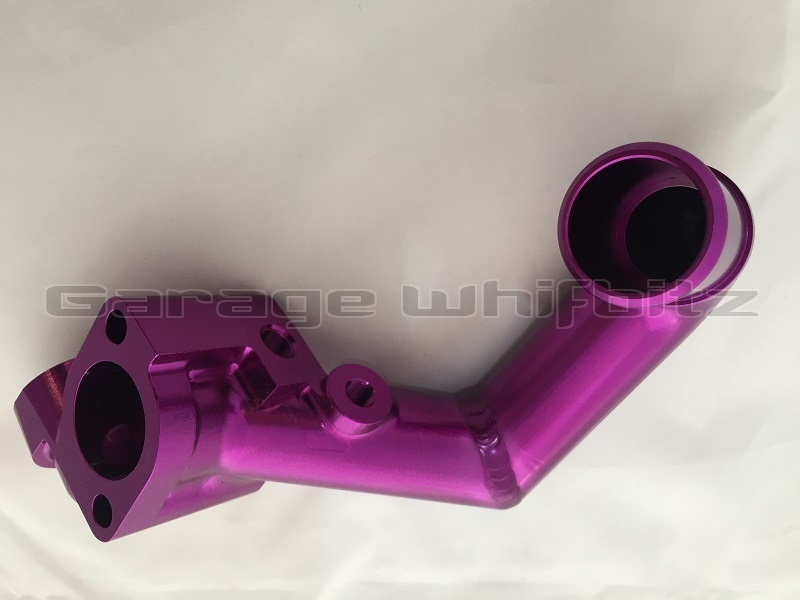 Machined from billet aluminium this part will set your car apart from the others. 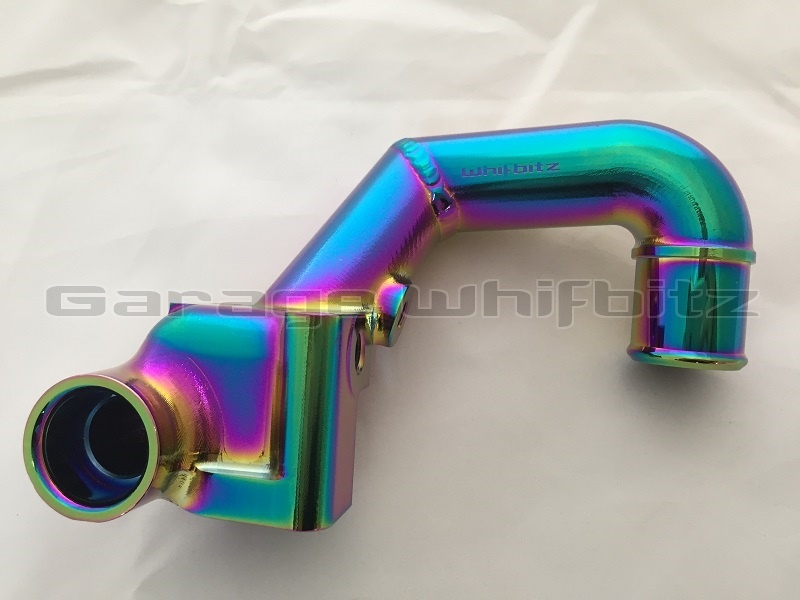 Made for single turbo fitment as it has no provision for water feeds for the stock turbos. 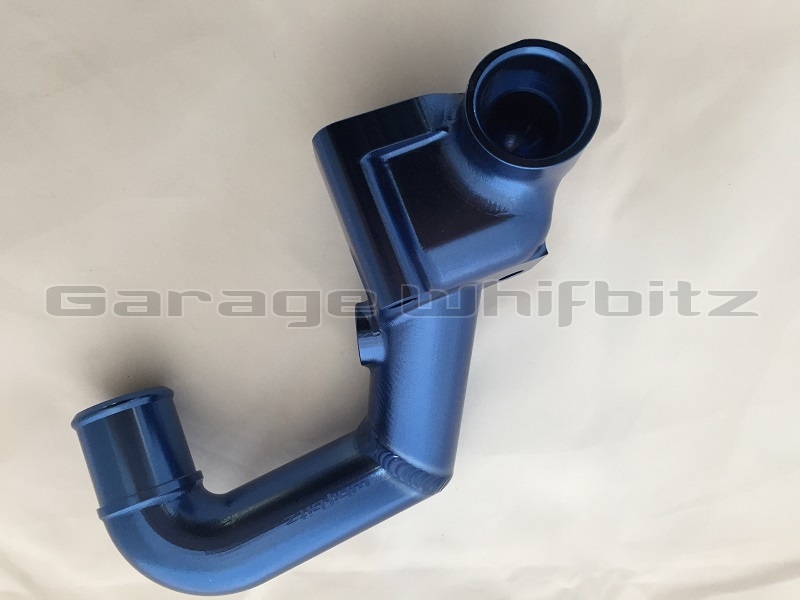 Fits in stock position and uses the stock radiator top hose and uses the stock water sensors. 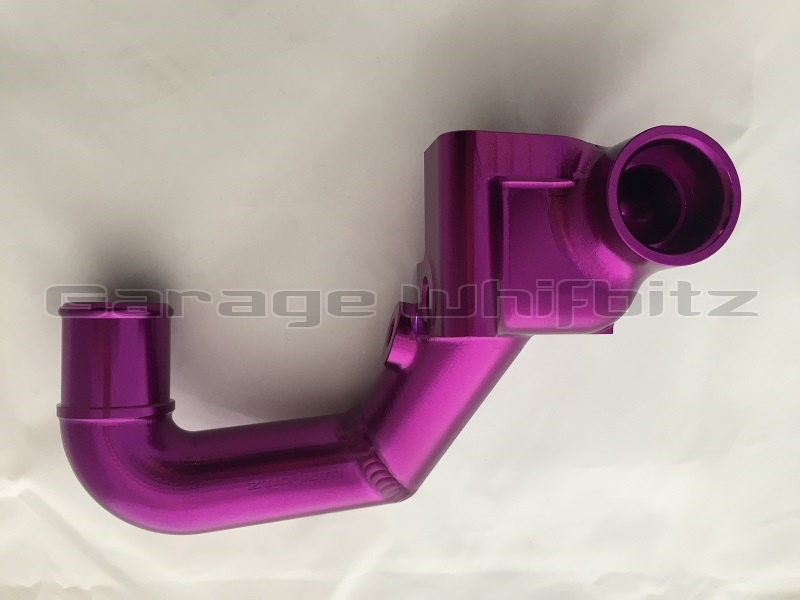 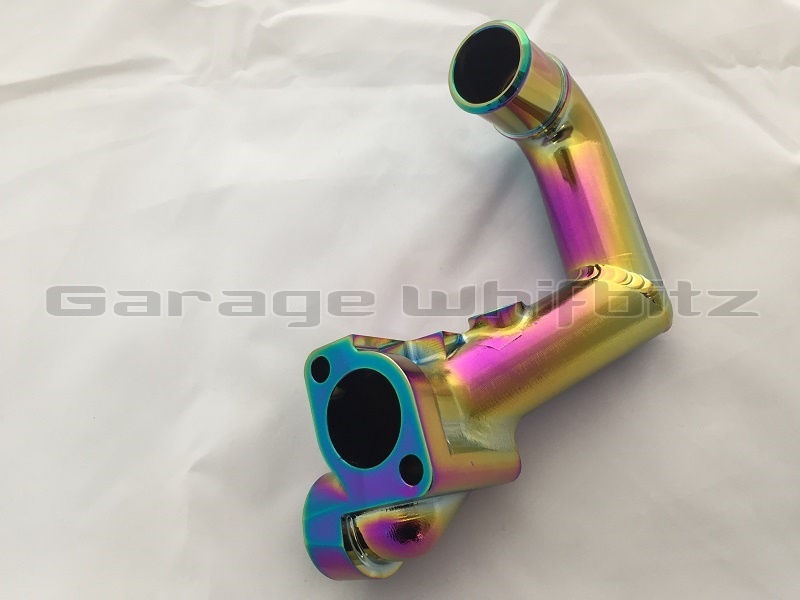 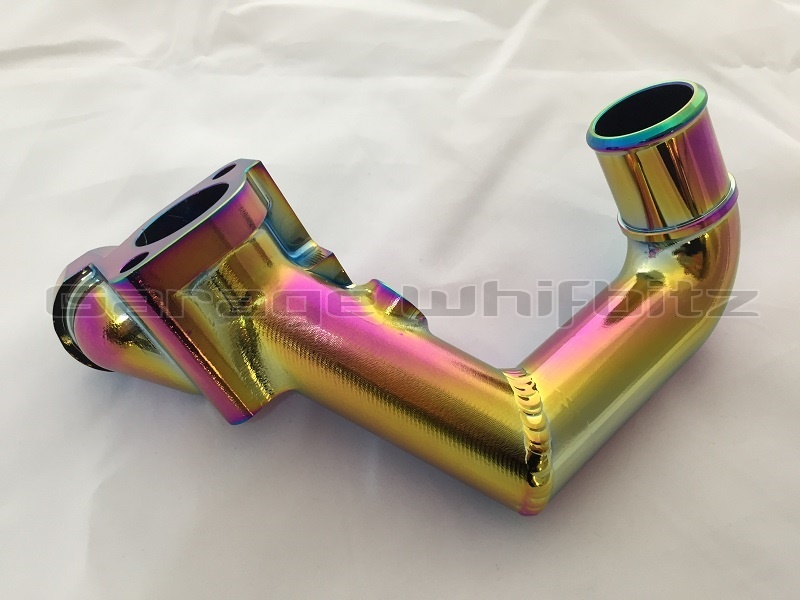 Available in anodised blue, silver, purple or neo chrome.